Stephen Hawking is widely regarded to be one of the greatest minds of our time, but what he has to say in his final book has many questioning whether he really deserves such praise. Hawking passed away back in March at the age of 76, but his final book entitled “Brief Answers to the Big Questions” was completed with help from his family and was released on Tuesday. One would have expected Hawking to include comprehensive scientific evidence for the conclusions that he reaches in his book, but that isn’t the case. Instead, Hawking reveals that he was simply just like everyone else. 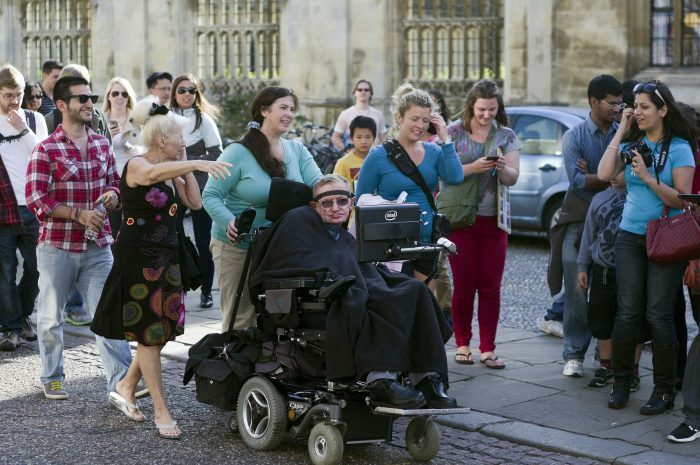 In this life, most people choose to believe what they want to believe, and that was definitely the case with Hawking. For example, in his new book Hawking states that there “is no God”. By his own admission, Hawking’s preference is to believe that there is no God, and he has the right to make that choice. However, he is doing his readers a tremendous disservice by framing this as some sort of scientific conclusion when he has presented no factual evidence at all. “No one created the universe and no one directs our fate. “This leads me to a profound realisation: there is probably no heaven and afterlife either. “I think belief in the afterlife is just wishful thinking. In his final prediction, one of the world’s most celebrated scientists suggests that genetic engineering was likely to create a new species of superhuman that could destroy the rest of humanity. In the end, it is very clear that Hawking’s view of the world was largely a combination of wishful thinking and an overactive imagination. In the long run, Professor Hawking urged humans to cast a wide net throughout space and successfully settle as many new worlds as possible. Doing so will ensure the survival of the human race even if its demise is accelerated by its own hands. The clock is definitely ticking for humanity, but there is nowhere else for us to go. None of the other planets in this solar system can possibly support life, and traveling out of this solar system is way beyond anything that we can possibly dream of doing at this point. Ultimately humanity’s fate will be determined here, and we should be seeking God’s help and guidance. But instead, Hawking and other global leaders have completely rejected God, and that rejection has very serious consequences.